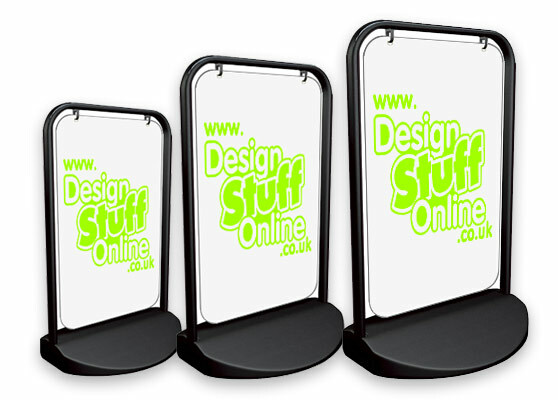 Eye-catching 'Swinging' Pavement signs, designed by you using our innovative web tools, from £49.99. We are currently working on our 'Design Your Own Signs' app, in the meantime, please email us your requirements. Versatile Pavement 'A' boards, produced to your design. The perfect, attention grabbing sign. Create your very own banner, suitable for Indoors and Outdoors. Perfect for getting your message across! Create your own signs. Any size, any style, apply to your own surface or supplied on hardback correx.